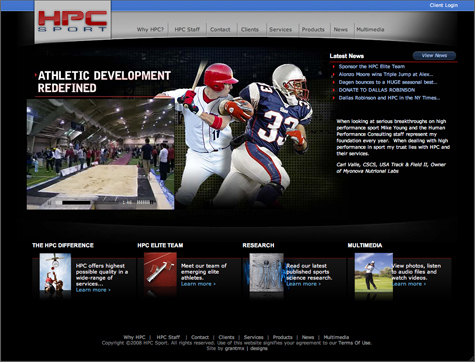 HPC Sport contracted us to do a total makeover of their website (Design and CMS overhaul). They were looking to scrap their old site as a part of a company wide marketing strategy to attract new and aspiring athletes, as well as make it a useful training portal for their current clients. With the help of Expression Engine for the back-end, I think we did a mighty fine job. Hat tip to Andy for helping with some of the extra Expression Engine modules on this project. Without further ado, I present to you the newly redesigned HPC Sport.